Washington Square Park is a wonderful place. Since it’s so close to NYU, it’s always active with students and faculty. But, there is also a very diverse population that work and live in the surrounding area. It’s very eclectic even for NYC. It’s even a very popular location for photographers and videographers. (Being near NYU’s Tisch Film & TV School doesn’t hurt either.) In fact, the last time I was there this summer, I walked into the CBS crew filming Person of Interest with James Caviezel. 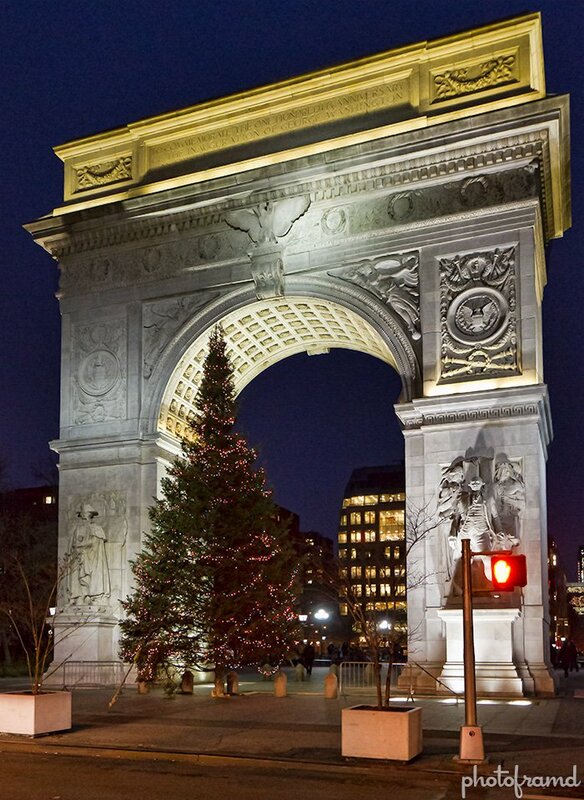 Because I think of Washington Square as a warm weather location, I never knew that they had there own Christmas Tree. In fact, it is a tradition that predates Rockefeller Center by 7-years. 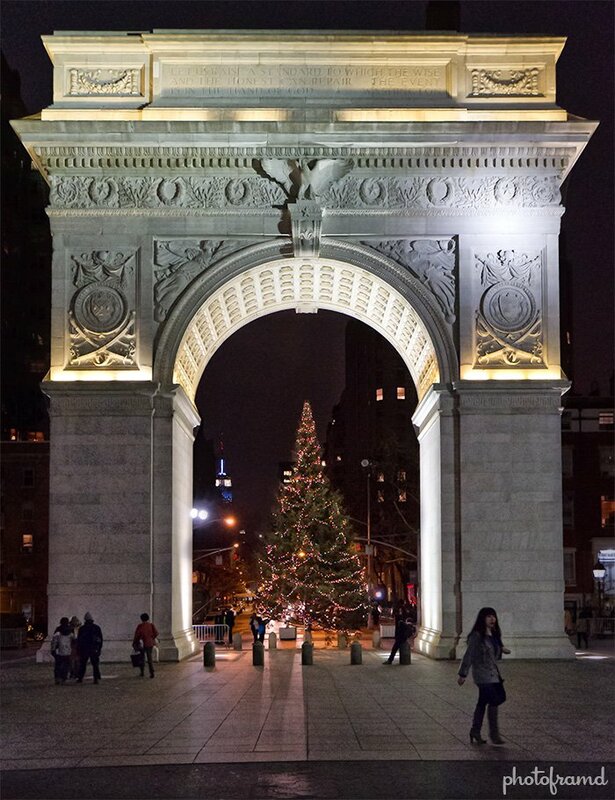 The Washington Square Association sponsored the 45-foot tree and there is caroling in the park on the weekends. If you are in the area, you should stop by. It’s beautiful at night.